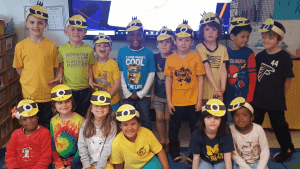 Mrs. Cassidy's Corner | When we stand together for children, no child stands alone. When we stand together for children, no child stands alone. We are slowly settling in to our new schedule. 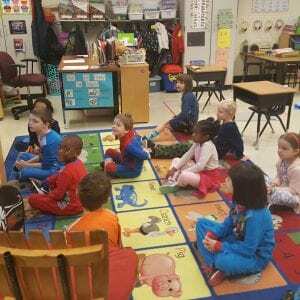 It has been hard for the students to wait until the end of the day for recess. We are going to try to take a mini run around recess on the front yard after lunch every day to give them a chance to get some of the energy out. Our classroom is chilly most of the day because we are first on the duct line for air conditioning. I understand your child wants to wear shorts to be comfortable outside but please send a jacket or sweater for them to wear in the classroom. Also as per the Cobb County School District dress code students shirts must have a 3 inch span on the straps and shorts should come down to the bottom of your child’s fingertips to be long enough for school. We have been working on diagraph sounds this week. A diagraph is simply a letter combination that makes a new sound like sh, wh, th, ch. We will be working on the wh and th sounds next week. Our class is still working hard on reaching the stars in sight words. Students need to know 75 sight words to get a 3 on their report card by the end of the year. When you reach the stars it means that the student knows 100 sight words. To date Dean, Carly, Jude, Nolan, Blake, Molly, Maggie, Harper, and Cass have reached the stars. We have been reviewing our math skills this week. This week we were assessing counting on and every student was able to count on from a given number from 1 to 100. I am very proud of the students as this is a hard concept for them to understand. We will review greater than and less than next week. 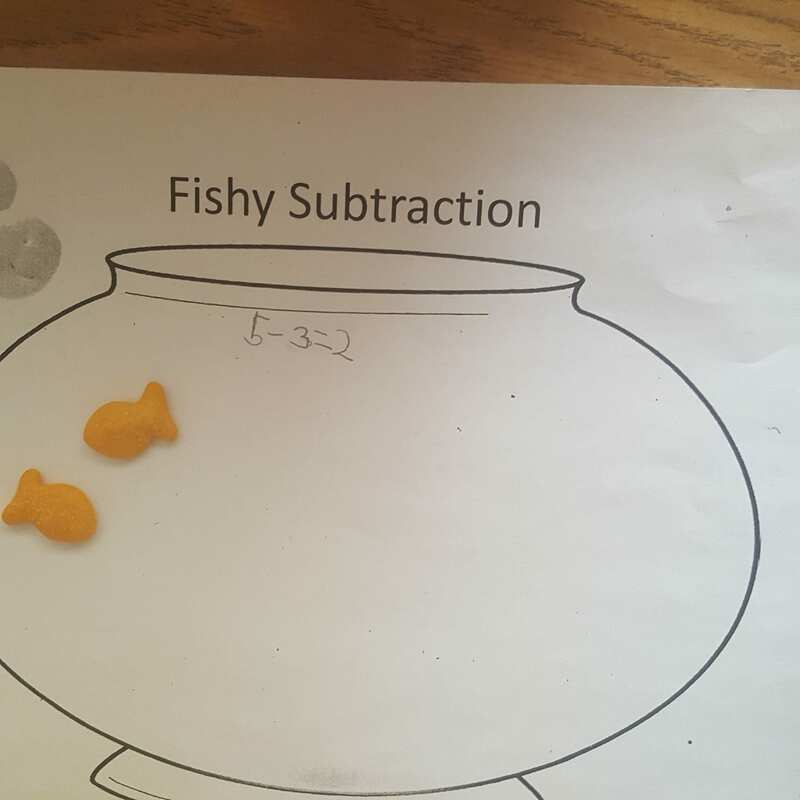 We will also continue to work on addition and subtraction to help the students become more fluent adding and subtracting. 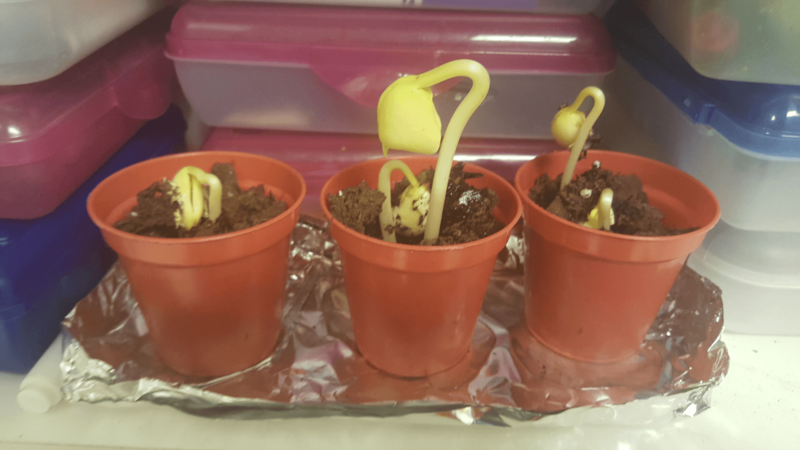 INTEGRATED STUDIES: We have been working on a unit about plants this week. We are growing grass and doing an experiment with Lima Beans. We will work on our address again next week and continue our alphabet countdown. I hope that you have a safe and happy break. See you on April 8th. To help you with the sight words I have created a YouTube video of the sight words with sound. This will be a great help for you over the summer to help your child remember the words. 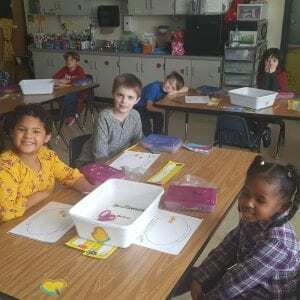 You can access this video on YOUTUBE at PLANT A RAINBOW KINDERGARTEN SIGHT WORDS https://youtu.be/TLfEx-8OX4Q or you will find the link at the top of thisblog. We have one week left until Spring Break and we are all ready for some vacation time. We have been working very hard during this past six weeks and are in need of a brain break before we head into the last weeks of school. Thank you to all of the parents who sent their children to school with winter coats this week. It gave us the opportunity to go out and run around during recess this week. I am hoping that with the start of spring we will have some warmer weather. Report cards are in your child’s folder. Please keep the report card and sign and send back the envelope. With the exception of our lunch time our entire schedule will change after the break due to testing in the upper grades. It will be a challenge for the students to have such a change in their routine but we will work hard to help them adjust. We are looking forward to our upcoming trip to the Cobb Performing Arts Center to see Eric Carle’s, The Hungry Caterpillar on Thursday, March 28th. Students should wear their class t-shirt or a red shirt. We used the money that was collected in the fall for the pumpkin patch field trip that got rained out. The permission slips that you just received are for an additional field trip to Morning Glory Farms that we would like to go on in April. We are still working on vowels this week. We will be moving on the silent e next week. That is where the vowel sound changes to long when a silent e is put on the end of a word. Example: can, cane, van, vane, ton, tone. When we return from break we will work on punctuation. We have completed our narrative writing and started on this opinion writing this week. Students need to know 75 sight words to get a 3 on their report card by the end of the year. If they make it to the stars they will know 100 sight words. Please continue to work with your child on the sight words. We have been working on subtraction to 10 this week. Next week we will review addition. 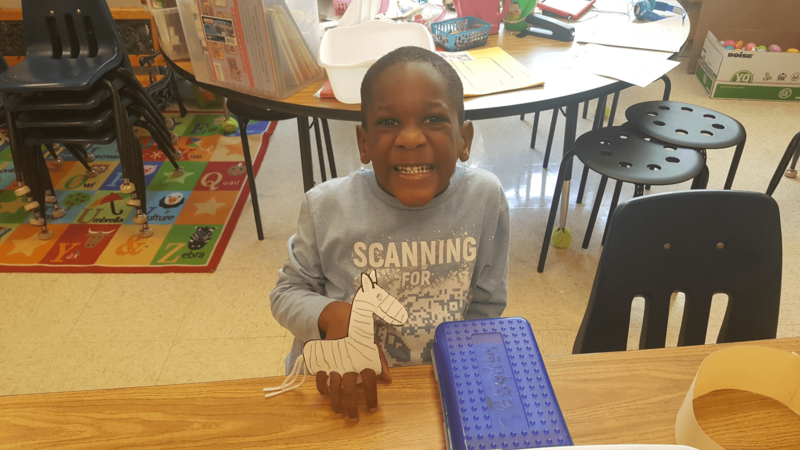 INTEGRATED STUDIES: We worked on a unit about animals this week. We will spend next week on the same unit and start a unit on plants after the break. 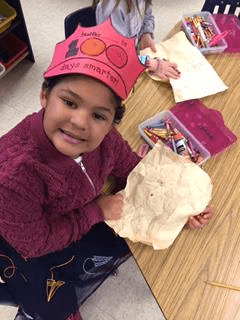 We have two weeks left until Spring Break and “oh boy” are the students ready for the break. Having to stay inside due to the excess amount of rainy weather is tough on the students. The weather next week is supposed to be warm and dry so we will get to spend some time outside. Report Cards will be sent out on March 22nd. Please sign and return the signature card to me. Pictures: Please know that spring pictures went home last week. Each student should have received a picture packet if they were present when they were taken. Inside of each packet are ordering instructions on how to purchase the picture packet or pieces of the packet. If you do not wish to order any pictures at this time, please send the packet back to school and have your child give it to their homeroom teacher. If you have any questions, please email Mr. Traster at jason.traster@cobbk12.org. LANGUAGE ARTS: We started working on long and short vowel sound this week. We learned the short sound at the beginning of the year and are adding the long vowel sound now. We will continue to work on short and long vowel sounds in the coming weeks. We will continue to work on narrative writing during writer’s workshop for the next two weeks. Students should know 75 sight by the end of the school year. MATH: We have been working on subtraction in math. We will work on subtraction to 10 next week and then practice adding numbers to ten the following week. To help your child you can have them add the numbers to 5 to build up their fluency. Addition fluency is the ability to see any addition equation where the answer is from 0 – 5 and know the answer. 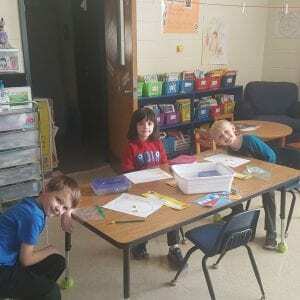 INTEGRATED STUDIES: We worked on a unit about living and non-living. 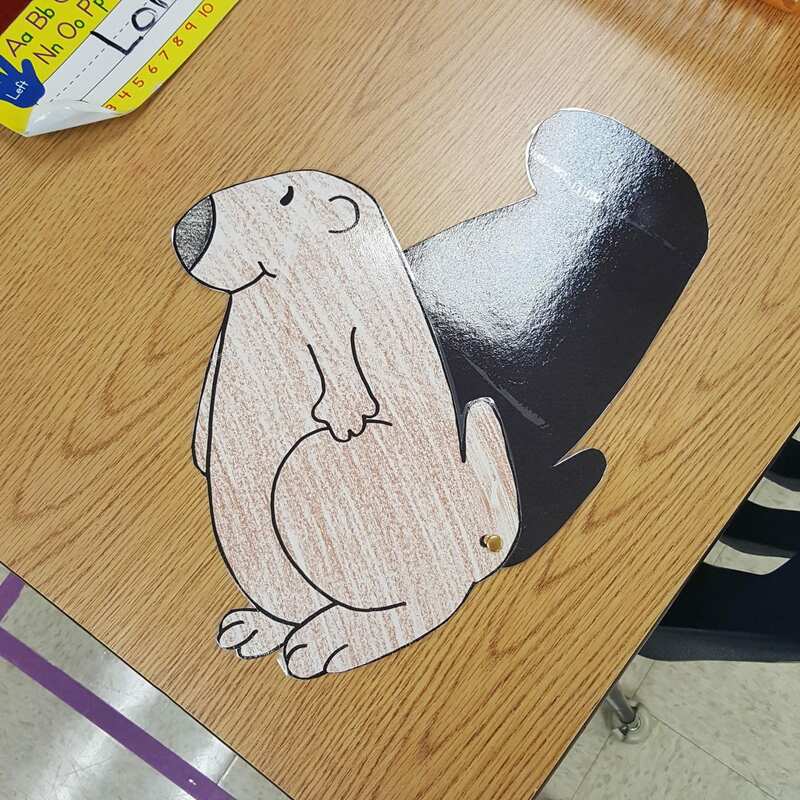 We will start a unit on animals next week and continue with it until spring break. Just a reminder that Wednesday, March 13 is an early release day. Students will be dismissed at 12:20. We have lunch at 9:31 a.m. so we will have snack time later in the morning. Today we had the chance to watch an African dance group perform at our school. It was also Read Across America reading celebration and we read and/or listened to a lot of stories. We spent some time reading on our own and we were able to watch all kinds of different people from all over our county read to us over Skype. We will be reading lots of Dr. Seuss books next week, practiced rhyming and created our own cat in the hat. You will find attached a list of the different ways we will celebrate our Dr. Seuss week. Come and join us on Thursday evening for Bedtime, Books, and Brownies. The teachers have a great time dressing up and reading to the children. Visit our room to hear me read Llama, Llama Red Pajamas and see Mrs. Perry, Mrs. Palmer and I dressed in our red pajamas. Our media center is hosting a book fair next week. If your child will be purchasing a book please send the money in an envelope or Ziploc bag marked for the book fair. Please make sure that your child brings a coat to school every day. It has not usually hit the high temperature for the day when we go out for recess at 9:30 and our playground is like a wind tunnel so there is always a cold breeze blowing. We have continued to work on cvc words this week and will continue this unit for a few more weeks. We will also continue to work on our sight words and writing over the coming weeks. We have been working on subtraction this week. We will continue to work on this for the next two weeks. 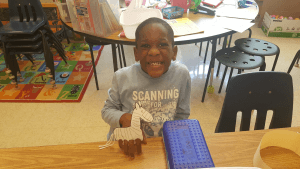 INTEGRATED STUDIES: We finished our unit on Teeth this week. We also learned about the weather lore story of the lion and the lamb. The saying goes that if March comes in like a lion it will go out like a lamb and vise versa if it comes in like a lamb. We will be learning about Dr. Seuss next week and doing some fun activities that relate to his books. 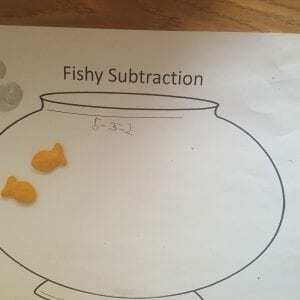 We used goldfish to learn how to subtract this week. I hope that everyone is enjoying our mid-winter break in spite of all of the rain that we have had. I totally forgot to upload my last newsletter before the break. I did want to remind you to please send in your field trip permission slip as soon as possible after the break. I also wanted to remind you that there is a link on the top of my blog to help your child practice their sight words. 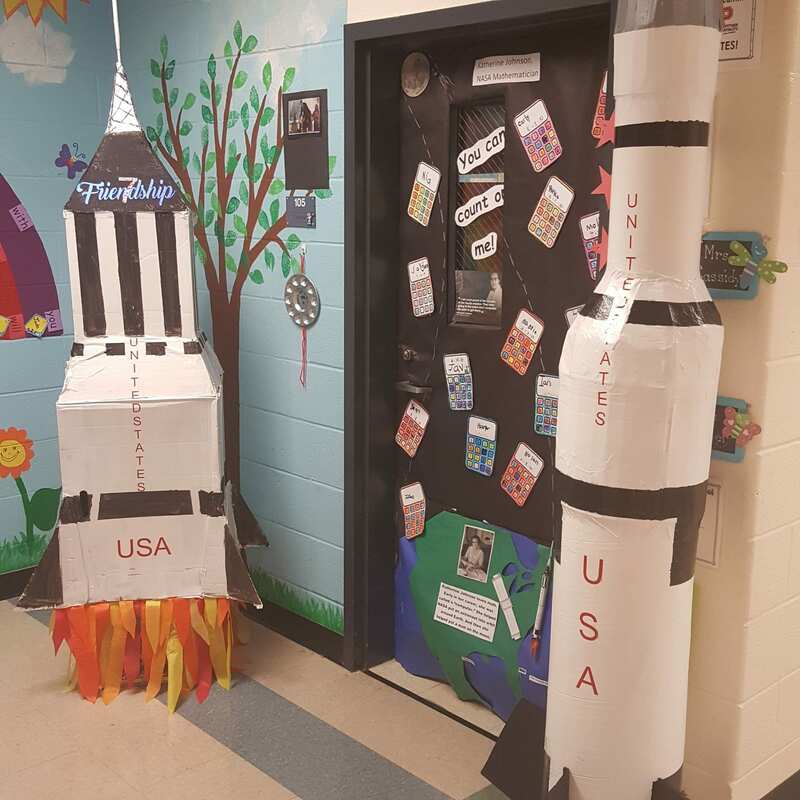 Each class was asked to decorate our door to celebrate Black History Month. Our class learned about Katherine Johnson a mathematician who worked for NASA. 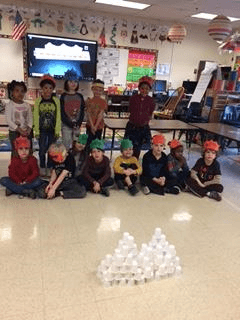 She calculated the angles and directions that numerous rockets and space shuttles needed to take to be able to complete their mission and return to earth. We created a video about Katherine and placed the link on our door so that visitors would have the opportunity to learn about her as well. Our state groundhog General Beauregard Lee will come out of his burrow tomorrow to see if winter will be with us for a while more or if spring is on its way! We learned about Groundhogs Day and made a donut groundhog for a snack today in the classroom. We continue to work hard in our classroom to learn all of our Kindergarten skills. The students are doing great with their sight words. Please keep working on this skill with them at home since they will need to know 50 sight words by the end of the third nine week period. Progress Reports will be sent home on February 11th. On Thursday, February 14, we will exchange valentines in our class. If your child wishes to participate, have him or her write his/her name on the back of each valentine. This way the children will know who the valentine is from. You will find a letter that includes the student’s names in your child’s folders. We have been working on rhyming this week. We will continue to work on rhyming next week as well as working on our word families. We will also continue to work on our sight words and writing. We have been working on addition this week. We have been counting objects and using pictures to help us add. We will continue to work on addition next week. 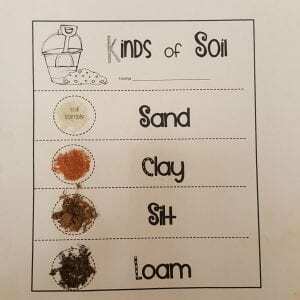 Integrated Studies: We worked on a unit about rocks and soil this week. 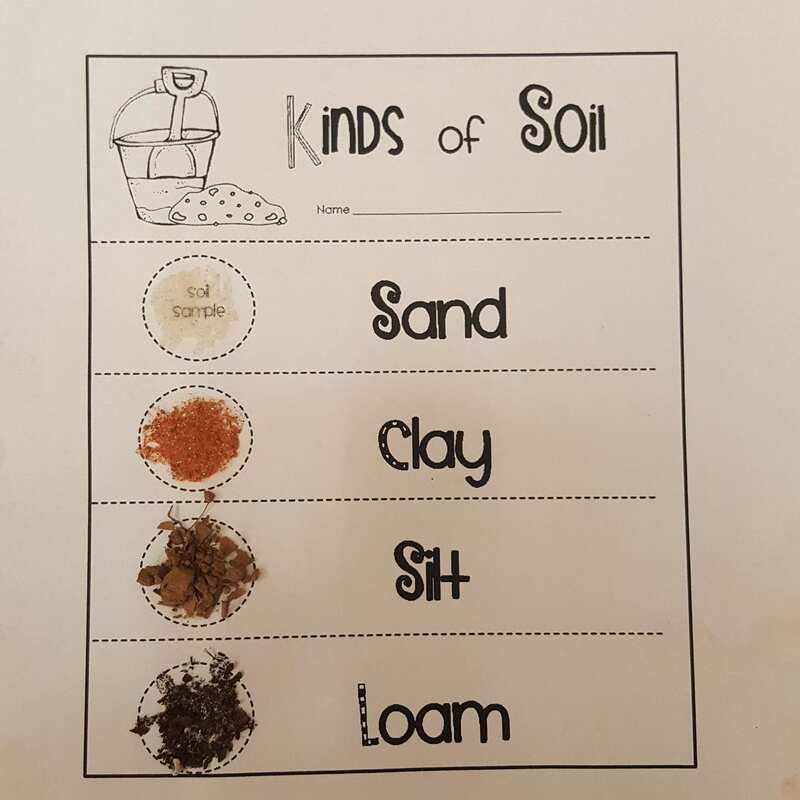 The students rotated to different classrooms to learn about different rocks and soil. We used our five senses to explore objects around us. We also learned about Groundhogs Day this week. We will start a new unit on Presidents Day next week. I think that I am starting to mold with all of rain that we have had during January. I am curious to see what the groundhog will tell us on February 2nd. I am ready for Spring. Congratulations to Maggie and Harper who reached for the stars and learned 100 sight words. Thank you to all of the parents who send in emergency snack so that I will have a little something to give children when they forget their snack. 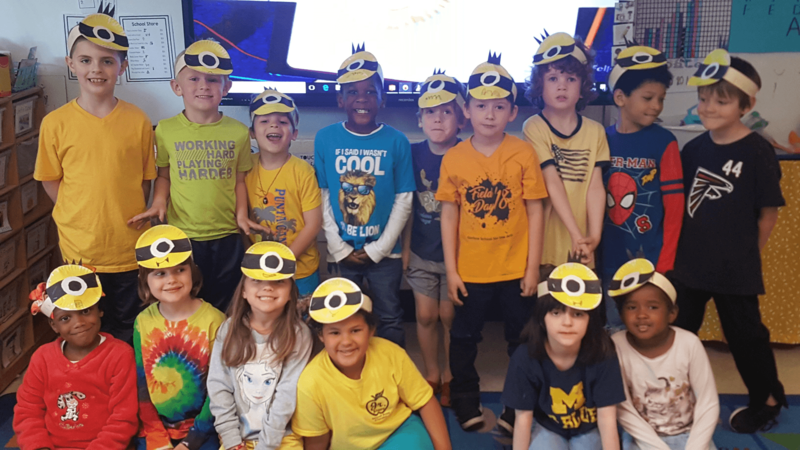 Friday is spirit day here at Pitner. We would love it if you would have your child wear their red K t-shirt every week. Monday: Crazy about Kindness: Crazy socks and crazy hair. We have been working on rhyming this week. To teach students about rhyming we use word families. We have learned words in the “ot”, “og” and “op” word families this week. We will continue working with our word families for a few more weeks to help the students become proficient with rhyming. We continued to learn about narrative writing this week. This genre includes learning how to write about one moment in our lives. We wrote about a trip to the grocery store this week. Please continue to work on sight words at home. Knowing these sight words helps your child to become a better reader and writer. Students will need to know 50 sight words by the end of this third nine week period. We have been working on beginning addition this week and will continue with this study for a couple of weeks. 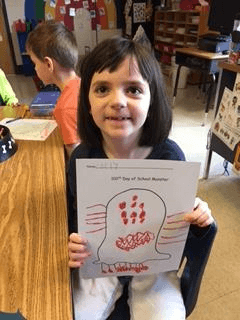 These pictures are from the 100th Day last week. Enjoy!